Lock in a great price for Daisi Sunset Hotel – rated 9 by recent guests! First of all, let me thank you for such a nice surprise. We with my sister came to Georgia for our birthday, when we left our room for a day stroll and got back... we found a lovely note with two bottles of wine - it absolutely made our day. Anything we'd ask was fullfiled. Taxi, printing out the tickets, directions and best places for sight seeing... Receptionist was incredible! Breakfast was tasty, even I (as a super picky eater who does not tolerate gluten, nor dairy) could find something I like. Average standard for what we paid for. 10-minute walk to the beach. Clean and incl. breakfast. Every thing is excellent. It is more than a three star hotel. 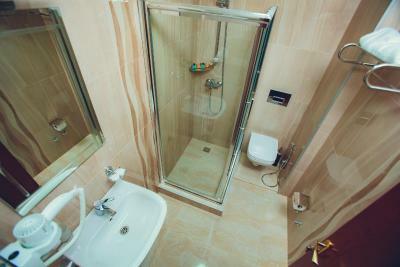 Great location, helpful staff, clean an quiet. Delicious breakfast. Nice and comfy hotel, worth for money. We liked everything! The value of the room. The room is pretty spacious with a sizeable outdoor balcony. 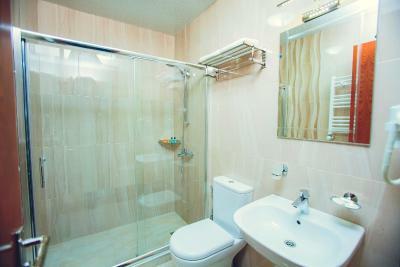 Soaps, shampoos and hairdryer are provided. Breakfast is decent too for the price. Location is good too with the seafront nearby and ample supermarkets/ money changers scattered around the hotel. Great location. By walking it is 5-10 minutes to center and casinos. Breakfast was also good, open buffet and there were enough choices. The room was large, clean and has a balcony. It was good to stay. 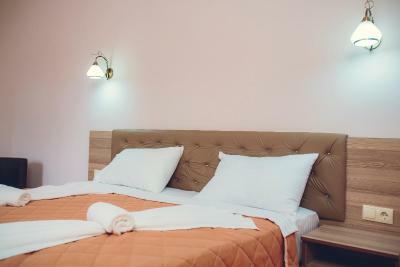 Daisi Sunset Hotel This rating is a reflection of how the property compares to the industry standard when it comes to price, facilities and services available. It's based on a self-evaluation by the property. Use this rating to help choose your stay! 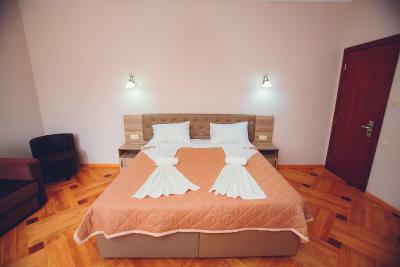 One of our top picks in Batumi.Featuring free WiFi throughout the property, Daisi Sunset Hotel offers accommodations in Batumi, 3.3 mi from Batumi Airport. A flat-screen TV is featured. 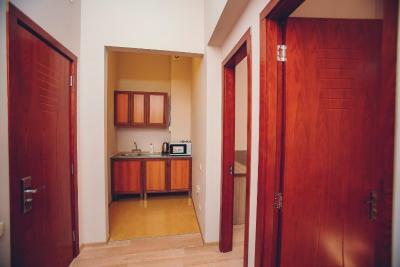 Certain rooms include a mini-bar, air conditioning and a kitchen with a microwave. 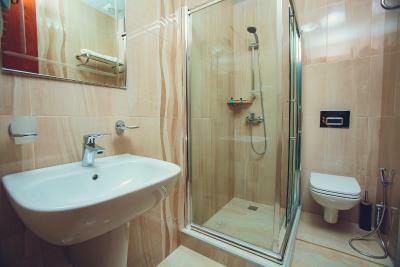 Bathrooms come with a hairdryer, free toiletries and a bidet. 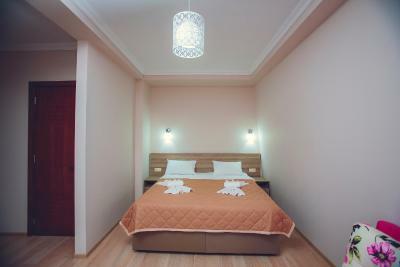 Batumi Archaeological Museum is 500 feet from Daisi Sunset Hotel, while Dolphinarium is 2,950 feet from the property. 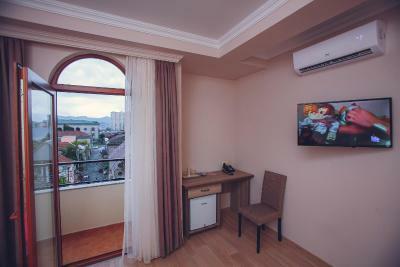 When would you like to stay at Daisi Sunset Hotel? Featuring a balcony, this deluxe room has a desk, closet, mini-bar and a TV. House Rules Daisi Sunset Hotel takes special requests – add in the next step! 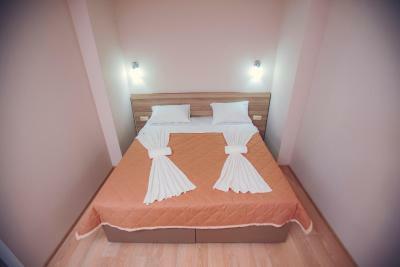 Any additional children or adults are charged GEL 30 per night for extra beds. Daisi Sunset Hotel accepts these cards and reserves the right to temporarily hold an amount prior to arrival. At first time it was hard to find exact location but after that everything was good. We loved everything , but if we had to say something. We would like some real coffie . 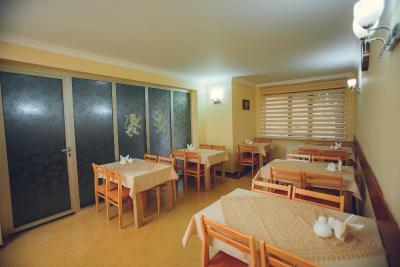 Location, room and staff, breakfast. I like everything,very nice service. 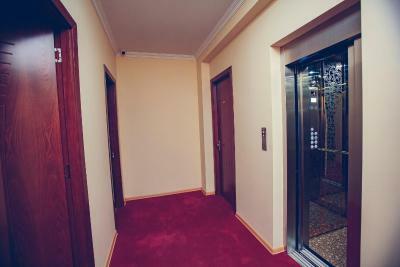 Clean, spacious room with a balcony, friendly English-speaking staff, quiet. Good shower. Everything specially the staff and location. Ambience and decoration is amazing. Very cooperative staff. Excellent service. Comfortable stay. 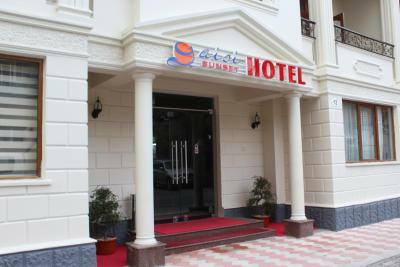 We checked out and checked in for extra two days (extended trip to enjoy the stay in styles). The room looked too plain and needed a couple more pictures on the walls. The water wasn't always hot but the shower was otherwise fine. Both receptionists were very friendly. 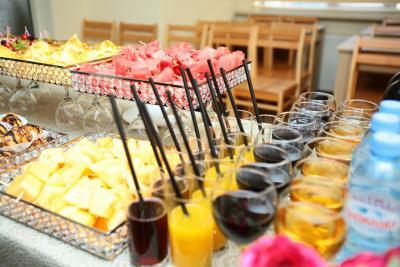 Te breakfast was ample and was available from 8-11 which is phenomenal! 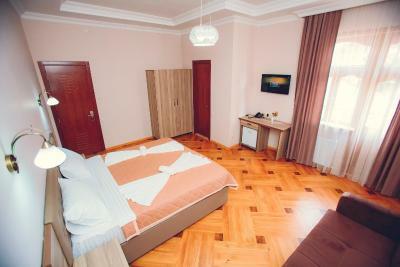 The room was cleaned perfectly each day. About six short blocks to the beach. Very good staff. Rooms very clean. Toilets a little old, but usable. 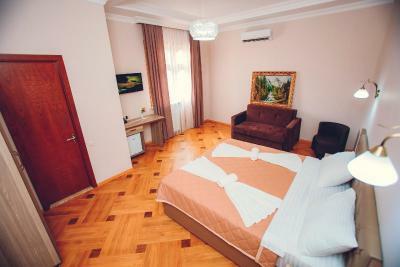 Location was good as it was in the city and walking distance to most of the city attractions and the Batumi Boulevard. Breakfast could be more varied. 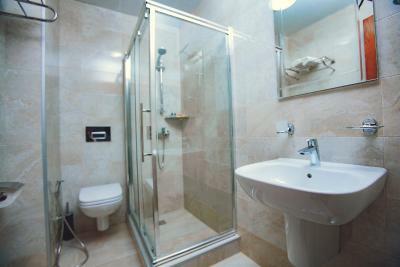 Bathroom could be a bit bigger. Our room was nice - good size. Close to the beach. Staff were friendly and helpful. A.C. in the bedroom.